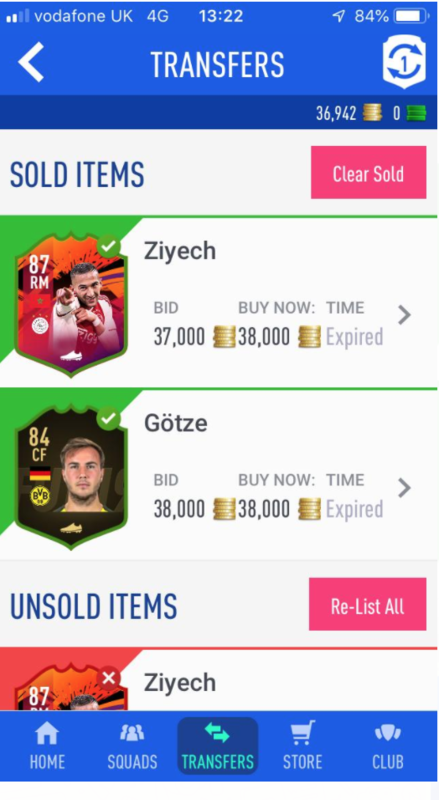 Not to my knowledge, was making a boat load by buying IF Mario Gotze's at 28k and selling for 38k overnight, wonder if that has flagged something. Was buying loads of 86 rated informs and selling for 10k above what I bought for overnight as well. If you made a ton very quickly it has been known to trigger the EA ban hammer. Theres people making 10+million a week and not getting ban hammered, so there must be another kind of trigger. Me myself made 1,9m last week and no ban as of yet. The first thing I thought of when I seen who made the thread, you can change your username but you can’t change the person. Let’s be honest, we have all seen people on here making a killing and not getting banned and we have seen people who are innocent. The people who are truely innocent provide the evidence without even been asked for it as they have nothing to hide. 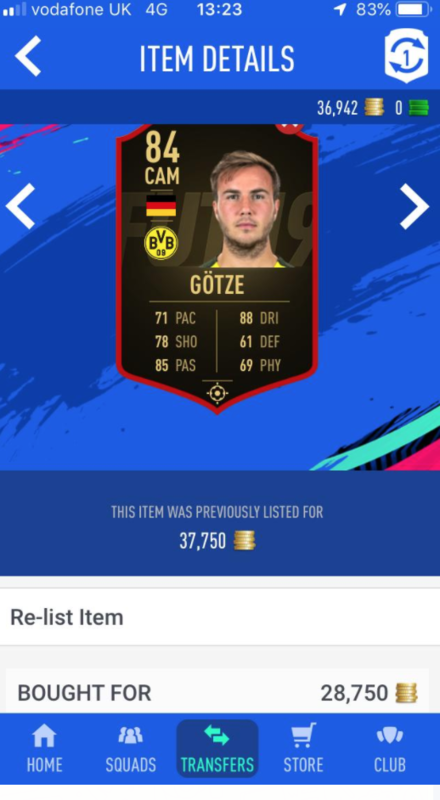 The story doesn’t make much sense either, he was buying Gotze for 28k during the day but selling at 38k at nights. I highly doubt his price rises by 10k just at nights, I also highly doubt you would get consistent sales. It just smells of coin buying/transferring, a good attempt by the guy and probably got away with it over the course of the year by trying to make it look/sound normal till it’s finally caught up with him. OP is MIA now. If this is like last year this will be epic! I have a team worth 11 million mate, I have never needed to buy coins to get that.